There are certain sins that kind of shake us in our boots. The second we commit them, we feel these sins in our very being. Betray a trust, commit adultery, steal, unjustly destroy the reputation of another . . . sins such as these (and others too) are the spiritual equivalent of some traumatic medical event. When a person has a heart attack or is wounded by a bullet, they know that it is time to "Call 911." Similarly, when a Catholic commits a grave sin, Catholic conscience kicks in and says, "This is an emergency. Repent immediately and get to confession." Not all sin, however, presents itself in such a traumatic and forceful way. Like certain medical conditions, there are spiritual maladies that do not present major feelings of distress. When we commit them, perhaps we do not feel all that different. We've all met people who, for instance, knew that there was something not right in their bodies, but who simply decided to ignore the symptoms. Since the symptoms weren't killing them outright or causing enormous distress, they learned how to live with them. Maybe deep down they knew that these symptoms were serious, but it was possible to continue on as though things were fine. Similarly, in the spiritual life, there is a silent killer. It is known as acedia or sloth. Unlike the sins that tend to shock us when we've committed them, acedia tends to lull us. When we commit sins of acedia, we might only be surprised by the fact that the result doesn't seem all that bad. A good example of this is failing to worship God on a Sunday. Perhaps a person has been attending Mass his or her whole life, but then decides to "skip" Mass on a particular Sunday. Perhaps they feel a little bit of guilt over this, but they realize that no lightning bolt has been sent down from heaven. In fact, they remind themselves that, "I go to Mass more than most people and I am basically a good person." Now, missing Mass on a Sunday without serious reason is already an objectively grave sin which destroys the life of grace in a soul. The Church clearly teaches that failing to worship God on a Sunday is a grave matter. So, the person who commits this sin already is in a spiritually serious condition. But, acedia acts like a cancer. It spreads. It begins to weaken a person's entire spiritual life, leading them to abandon his or her spiritual duties. Prayer, Mass, Confession, all begin to be left aside. In their place, the person throws himself or herself into one of two possible positions. The first is to become sluggish and lazy. 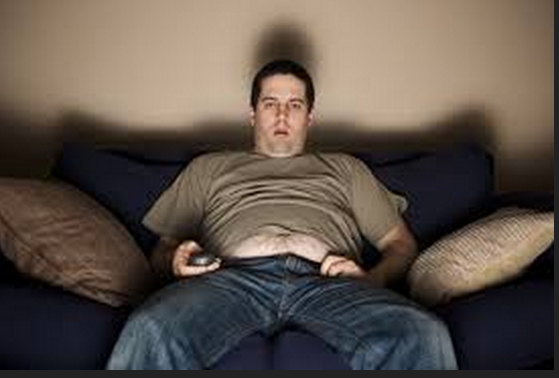 Sundays, for instance, are spent laying around watching television or surfing the Internet. Hour after hour of doing nothing. While the Sacrifice of the Mass is being offered in parishes, the soul suffering the sickness of acedia is morbidly doing nothing at all. They know what they should be doing, but each time they ignore that truth, the more difficult it becomes for them to break free from the heavy chain of acedia; a chain whose other end attaches them to re-runs of "Law and Order" rather than to the Eucharist. The second possible reaction is to become an activist. It seems counter-intuitive to suggest that a symptom of acedia or spiritual laziness is to become an activist, but it is the reality. Increasingly distant from a relationship with God, the person throws himself or herself into a thousand other things. Aware that they are not keeping their primary obligation in life (to worship God), they come up with other important activities; signing their children up, for instance, for a thousand sports activities or filling their own time up with political advocacy, exercise, or even volunteer work. None of these things are bad. In fact, they are all good things. But, no matter how good they are, they are not the best thing, nor are they any person's primary obligation. For the person suffering from acedia, these activities merely mask a serious spiritual malady. The more one yields to acedia, the more difficult it becomes to overcome it. They might feel some spiritual sadness, but they lose a sense of just how great their peril is. Other sins can shock a person and make them realize that they are in deep trouble. Acedia just draws the person into a spiritual hole from which the person feels incapable of escaping. Maybe they know that their soul is in serious spiritual jeopardy or perhaps they are not aware of it. After all, even though they don't go to Mass or pray, no lightning bolt has struck them down. They begin to think, "One of these days, I will straighten all of this out. There is plenty of time." If you are a Catholic who is not going to Mass on Sundays (presuming you are capable of doing so), then your spiritual sickness is serious. Don't treat it lightly. The only way to overcome acedia is to act forcefully against it. Shut the television off and pray. Set the alarm clock on Sunday and go to Mass. Get to confession. The only way acedia wins is by allowing it to win. The only way it is conquered is by fulfilling our duties, no matter how we feel at a particular moment. As we approach the Solemnity of Christmas, let us not sit in darkness any longer. Instead, let us go out to meet Him. Let us leave the lethargy of acedia behind and make our way to Bethlehem. A Savior who is Christ and Lord awaits us. 1. Go to confession this week. No excuses. Just go. 2. Go to Mass on Christmas Day and be resolved never to miss Sunday Mass again. 3. Spend five minutes each day praying in front of a manger scene. Go to Bethlehem. This morning, somebody sent me a message asking if I would pray for a little boy named Nicolas who is suffering tremendous pain as cancer spreads through his body. Seemingly, drug trials and other treatments have not been successful in stopping the spread of the disease. Could I ask you to take a moment and pray for Nicolas? 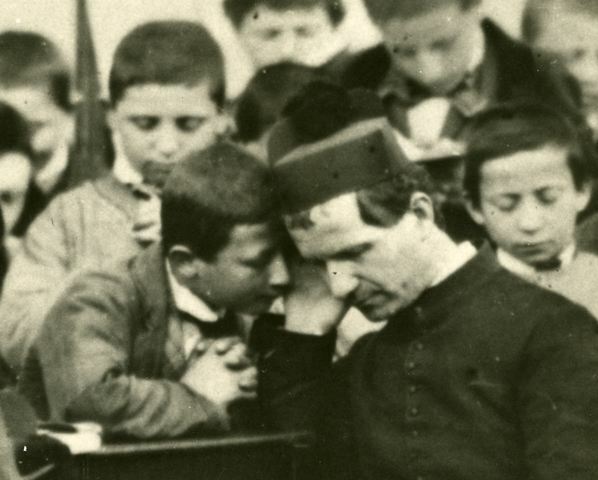 Ask that if it be God's holy Will, that the intercession of Fr. 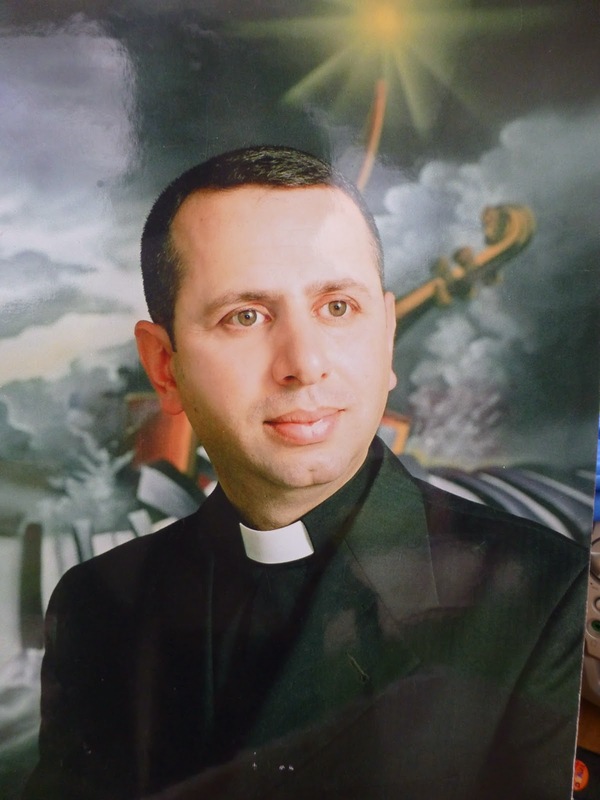 Ragheed Ganni might bring about the complete healing of Nicolas and that this miracle be for God's glory and be a confirmation of the heroic holiness of Fr. Ragheed. Lord Jesus Christ, following your example, Fr. Ragheed Ganni laid down his life for the sheep entrusted to his care and in witness to the Catholic Faith. I humbly ask you, that through the intercession of Fr. Ragheed, Nicolas might be delivered from the ravages of this disease and be completely healed. May this miracle bring you Glory and be a sign of Fr. Ragheed's heroic holiness and powerful intercession before your throne. In all things, Lord Jesus, I trust completely in your Divine Will and Providence and have faith that however you answer this petition, you will bring about the greatest possible good. Amen. Is He the One or Should I Look for Another? On the Third Sunday of Advent, we hear that John the Baptist, who was imprisoned by Herod, sent his disciples to Jesus to ask, "Are you the One or should we look for another?" The early Church Fathers say that John did this not for his own benefit, but for the benefit of his disciples. John must have intuited that things would not end well for him. Perhaps he was concerned about what would happen to his disciples as they watched him maltreated, humiliated, and eventually executed. They could easily become fearful or discouraged. John sends them to Jesus. When they pose their question to Jesus, "Are you he One or should we look for another?" Jesus reminds them of all that they have seen and heard. In front of their very eyes, miracles have occurred. They have seen and heard miraculous things! But it was not enough for Jesus to remind them of what they had seen and heard. Being mindful of the works of God made manifest in our lives is an important part of the Christian life. But it is not enough to sustain it. Equally important is proclaiming those things to others. "Go and tell John," Jesus commands these disciples. "Go tell John what you've seen and heard. Go tell John what you've witnessed. Go tell John." It was really not for John's benefit that the disciples went and reported all that they had seen and heard. It was for their benefit. Sharing the Good News is as much a part of being a disciple as is encountering the Good News. Believing is an important part of Christian life, but so too is confessing that Faith before others. In the heart of every Christian is always a pause, a hesitation: "Is He the One or should I look for another?" In my life, Christ always answers that question by surrounding me with signs of his grace and power. In the lives of the parishioners, families, college students, seminarians, brother priests, and religious who surround me on a daily basis, Jesus says, "Go and tell what you have seen and what you have heard." In the lives and witnesses of these men and women, I am reminded that I do not need to look for another. He is indeed the One. And, these reminders compel me to bear witness to what I've seen and heard. In fact, for the most part, this blog has mostly been dedicated to just that: Sharing with others the great and miraculous things Christ is doing in the lives of those with whom I've had the privilege of living the Christian life. Even when my heart does not pose the question, "Are you the One or should I look for another?" Jesus answers. For twenty years (almost) he has surrounded me with signs of his miraculous power. He surrounds me with His people, the people in whom His grace is at work in extraordinary ways. But, like the disciples of John, it is not enough for me just to see these things. I need to go tell someone about them. This blog is one way of doing that. Today, I spent the whole day in the presence of young men and women in whom Christ is doing great things. So, in case you were wondering, let me assure you: He is the One. You need not look for another. Advent Patience: Is God Calling Me to Be a Priest? Patience is definitely an Advent virtue. Hold out a little while longer; the light is coming into the world! Where there is darkness, light will dawn. Where there is confusion, clarity will come. Where there is sorrow, joy. Advent beckons us--in the face of despair and discouragement--not to lose hope, but to remain firm. What is longed for, will arrive. Patience. Wait for the Lord. He is coming. Fair enough. Advent encourages us to be patient. But patience, especially when it comes to one's vocation in life, isn't sitting around, paralyzed by fear. Advent also encourages us to hurry. We are to set out for Bethlehem. We are to prepare our hearts so that when Jesus knocks, he finds us in joyful anticipation. Our patience is not just sitting around until something better or clearer arrives. Our patience is not meant to be passive. It is active. Our patience is lived by hurrying to meet the Lord despite the darkness, uncertainties, and fears that envelop us. Sometimes when a man thinks that Jesus may be calling him to a priestly vocation, he goes into a position of, "Well, I will just sit here and if God really wants me to be a priest, then He will do something." This is not Advent patience. Advent patience moves towards God even as God moves towards us. Advent patience acts on graces that are given even though the end result of those graces is hidden from our eyes. Advent patience is lived by moving forward despite not having absolute clarity. During the Christmas Season, we will celebrate the great Feast of the Epiphany. 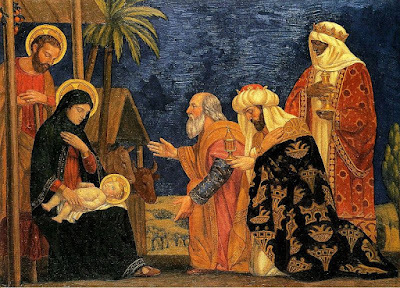 Yes, the Magi were given a sign; a star. But, that sign on its own did nothing. These men would have gained nothing if all they had done was looked up and saw the star. They did not look up and say, "Huh, maybe that means something. Let's sit around and see what happens." No, they followed. Despite all of the adversity that they encountered, they moved forward. They persevered. Signs are given to us so that we can follow. If a young man has the inclination that Jesus may be calling him to the priesthood, that may well be a sign. If the Church encourages that man to enter seminary, then that is another sign. Signs are meant to be followed. There is an overwhelming temptation at times to doubt the signs, to demand more signs, and to spend enormous amounts of time trying to discern whether this sign is good enough or not. Advent patience, on the other hand, does not place someone in perpetual discernment paralysis. Advent patience teaches us to move forward despite the lack of perfect clarity. If you have been given a sign that you potentially have a priestly vocation, I can confidently say that God did not give you this sign so that you can endlessly stare at the sign and wonder whether it is a sign or whether you should just sit around and wait for another sign. He gave you that sign so that you can pack up your camel and follow. Things will become clearer when you actually move. The sign given to the Magi moved. They followed it. Light is meant to be followed. If the light is moving, sitting around is only going to leave you in darkness. Between the beginning of a priestly call and an ordination, there is a long road to be travelled. The only way to know with certitude what the sign is leading one to is to begin following it. If in your heart, a light has arisen that makes you wonder whether God is calling you to a priestly vocation, yes, be patient. Be patient, but hurry up and follow. The sign that God has given to leads someplace beautiful. It leads to Christ. Today I had lunch with a young man who, although baptized as a child, never grew up practicing the Catholic Faith, was never confirmed, and never received the Eucharist. But somehow, by the grace of God, he now comes to Mass every Sunday and desires to be fully initiated into the Faith. It's fascinating that in the very same place that many others are abandoning their Faith, this young man is drawing closer. Among the things that struck me about our conversation was that what, in part, attracts this young man to the Catholic Faith is the Church's clarity in doctrine. In the midst of the passing and ever-changing world, there is something attractive about the stability that the Church offers. It is not one thing today and another thing tomorrow. As we spoke, I was reminded of the common theme present in many of the liturgical prayers during the Advent Season. Quite often, during the Season of Advent, the Prayer after Communion speaks in a variety of ways about "learning to judge wisely the the passing things of earth, so as to love the things that eternally endure." People are hungering for stability. Stability is not staleness. Stability is not stunted growth. Stability is not a lack of freshness. Stability is a condition for growth. When things are stable, they can sustain life. When a patient is in the hospital, we are happy to hear that he is stable. It means that the conditions are present which will enable him to return to full health. We prefer when the earth is stable rather than when the earth is quaking. A stable earth allows us to build cities and homes, to live our lives in tranquility, and to attend to deeper realities. When the earth quakes, cities are destroyed, lives are in turmoil, and we are only able to attend to the most basic realities (food, water, shelter). Today the Church celebrates the Feast of St. Nicholas. St. Nicholas lived during turbulent times. A terrible heresy had arisen in the life of the Church and was causing incredible disruption. Nicholas was willing to suffer for the Truth. Nicholas knew that the greatest gift he could deliver to the people entrusted to his pastoral care was the firmness of the Truth. Despite being in the minority and being held in contempt by many of his peers, Nicholas held firm. A good shepherd stands firm and defends the sheep from the wolves. The Gospel for today's Mass speaks about the Good Shepherd leaving the ninety-nine for the sake of the one lost sheep. Today, there is a temptation in the life of the Church to abandon the one for the sake of the ninety-nine. We can be lured away from the pastoral method of Christ who attended to the one, and instead become salesmen to the ninety-nine. But Christianity is always personal. It is always "heart speaking to heart." When people see the stability that Catholic life offers, they are drawn towards it. They recognize that the profound restlessness that they experience has an answer. People experience so much turbulence in their life, and in the Church they discover a place of peace. In the Sunday Mass, in Eucharistic adoration, in friendship, they experience those things that are not passing but rather endure. As the Church considers how to evangelize and reach the people of today, we would do well to remember that people are starving for stability. For many people, their marriages, families, jobs, finances, and homes lack stability. All around them, everything is in flux. There is something of enormous comfort for them to come to the same liturgy, gather with the same people, and hear the same doctrine week after week, year after year. This stability enables them to build something, to grow, and to bear fruit. 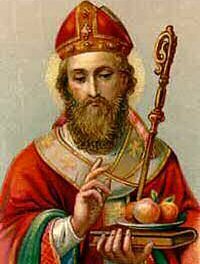 On this Feast of St. Nicholas, we should pray that the Church might increasingly provide true pastoral care to its people by providing them with the stability that sound doctrine, right worship, and true communion provide. 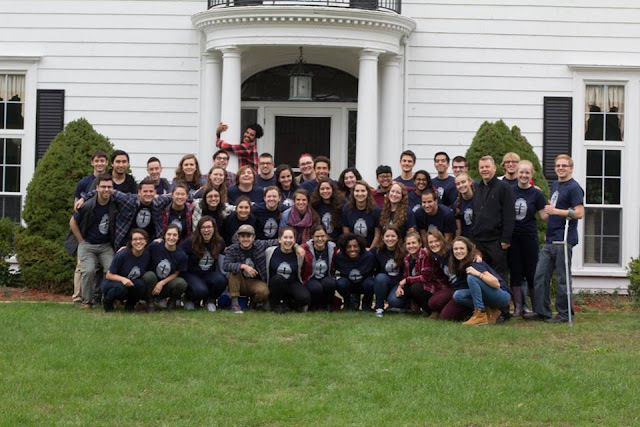 I am writing this especially to the community at Boston University because we have our Advent Confessions available tonight at Marsh Chapel from 7-8:30pm, but it also applies to everyone else as well. Reason One: I am really busy because it is the end of the semester. Reason Two: I've committed some really big sins. Reply: That is why Jesus gives us the Sacrament of Confession. When we go to confession, God's mercy obliterates the power that these sins appear to exercise over us. The alternative is to allow these sins to exercise mastery over us. When we go to confession, we experience freedom from the tyranny of these sins. Reason Three: I'm embarrassed to confess my sins. Reply: Committing sin is embarrassing. The embarrassment becomes a weapon that sin uses to keep us enslaved. Confessing the sin is an act of strength and brings an amazing freedom. Reason Four: The priest might think less of me. Reply: I'm sorry to disappoint you, but your sins really are not that interesting. Besides, the most privileged thing in the world for a priest is to be entrusted with the ministry of absolving sins. Reason Five: I really don't sin. Reply: You definitely need to go to confession. I mean like right now. Reason Six: I had a bad experience once when I went to confession. Reply: I had a bad experience once when traveling. I still travel. Reason Seven: I haven't been to confession in a long time. Reply: Isn't that a reason to go to confession? Reason Eight: I don't remember how to begin the confession and/or I don't remember the Act of Contrition. Reply: I don't remember the Gettysburg Address or the Preamble to the Declaration of Independence, but I still vote. Reason Nine: I feel confused, lost, or guilty. Reply: God loves you. He wants to tell you so in the confessional. Reason Ten: I am dead. Reply: That's a good reason. When we die, then it is too late. Until then, we should go frequently.